What is the best time for sodding? Sod, also known as turf having grown on a dedicated farm, is a fully matured lawn. It has an extensive root network developed, and it can easily sustain the move to your back (or front yard). What is most important to do in order to assure that your sodding project will in fact turn into a healthy lawn, is that the sod is freshly cut and delivered to you on the day of the project and that it is laid on a well prepared ground. 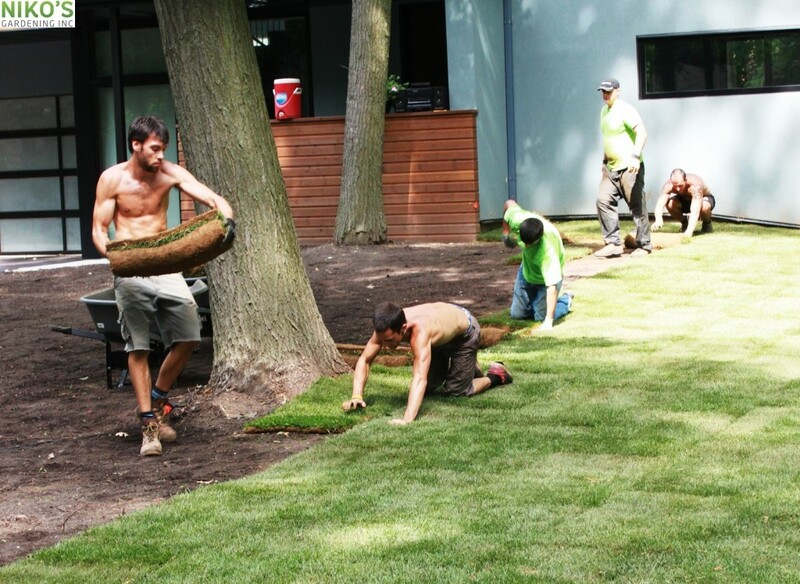 While we have had an experience with larger projects where sod had to wait for 48 hours before it was installed, with smaller (residential) lawn installation jobs it is not recommended, and we always get a fresh batch of sod delivered to us on the day of the job. 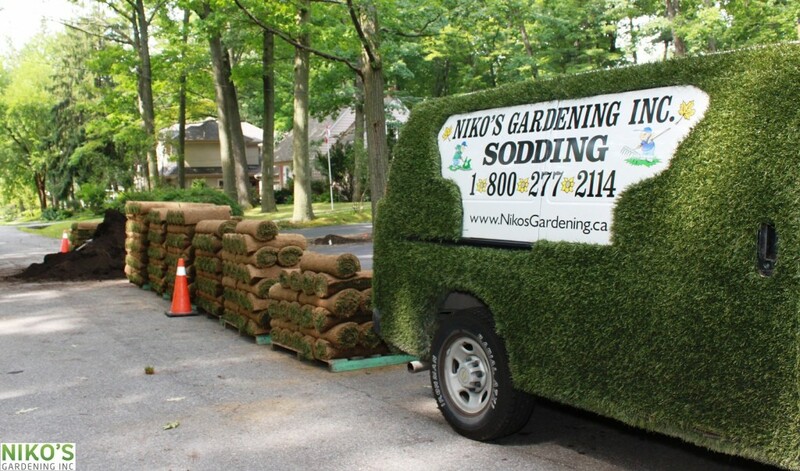 Many people feel that the best time for sodding is in the Spring (in Toronto, Richmond Hill, and rest of the Greater Toronto Area spring comes sometime in late April). This makes sense – spring is the time where nature awakes, plants rapidly grow, and lawns grow tall so fast, that mowing it once a week is barely enough. Sodding in the spring has many benefits, and this is normally the busiest time of year for us, as we provide sodding services in Toronto, Thornhill, and rest of the Greater Toronto area. As the snow melts, everyone rush to get their garden set for the season. The season here is short: residents of Mississauga, Brampton, Markham, Thornhill,Toronto, and rest of the GTA have less than eight months to enjoy their gardens and back yards. If you want to have your lawn installed during the month of May, you should get an estimate and book your job as soon as possible – during the month of April or even March. Many people feel, that the Summer may be too hot for lawn installation. We strongly disagree! Summer is actually a great time for lawn installation, and we find it to be even better than the Spring. 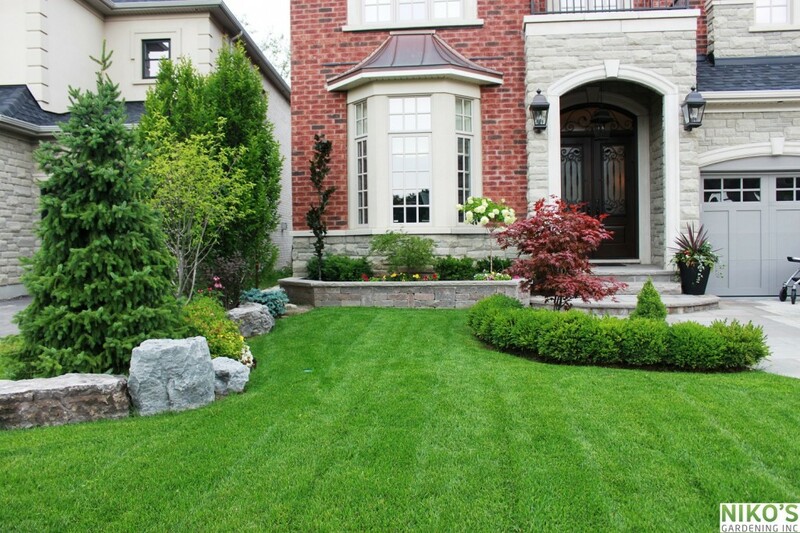 With a lower possibility for unexpected cold, or large amount of precipitation (and we all know how cold and rainy May in Toronto, Thornhill, and rest of the GTA can get), the summer is an excellent time to install a new lawn. It is easier to determine how much moisture your new turf lawn received each day (too little can kill it, too much will grow mushrooms!). Better controlled environment allows to produce superb results, providing you with a strong, green, powerful lawn. After the Spring rush, contractors usually have a bit more time available during the Summer months. There is a shorter wait time once your project is booked, and you could probably negotiate a slightly better price during this time. 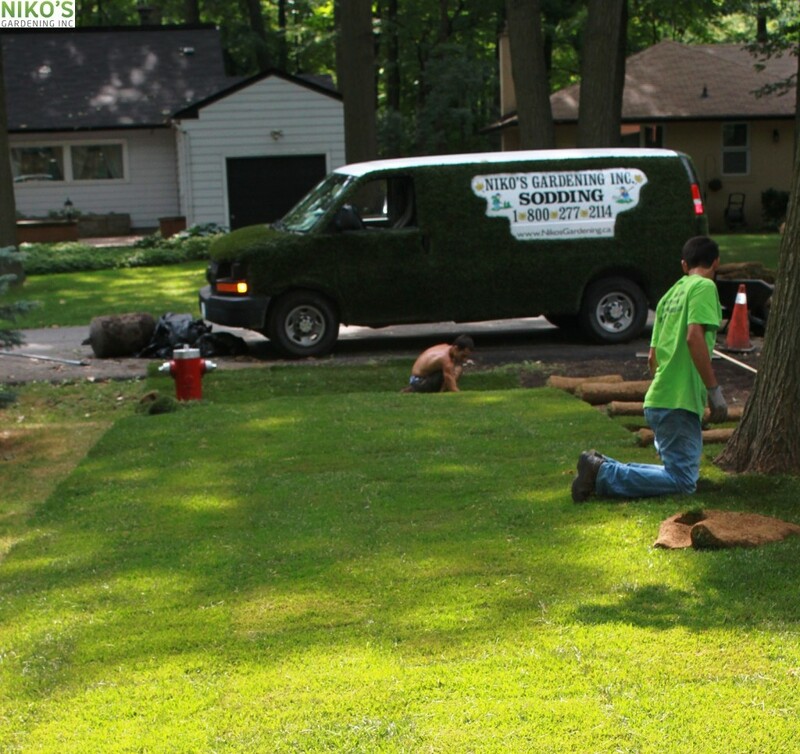 Providing sodding services in Toronto, North York, Richmond Hill, Maple, and other areas of the Greater Toronto Area, we often run a small promotion during this time, offering better prices on Turf Sod installation (sodding). While many people retract from their gardens during the fall in Toronto and Greater Toronto Area, and focus on getting ready for the winter indoors, this might be just the best time for installing a new lawn or re sod an existing one. We have installed numerous lawns in the fall, and always got the feedback from our clients on the feeling they got of a prolonged summer. No wonder – while everyone are done with their back yards (or collecting fallen leaves at best), our clients are busy tending to their newly installed lawn. Why not enjoy the outdoors a little longer? We’ve got such a long winter here in Toronto! If a new lawn is called for, install it this fall, enjoy the rest of the season and beat the spring rush! 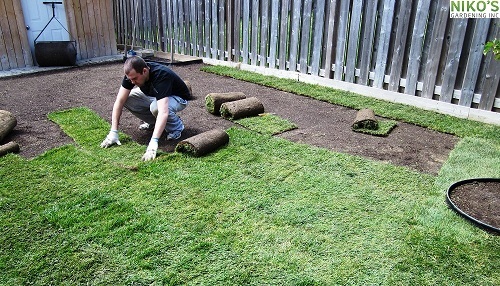 It is always a good time to install a new lawn in Toronto, Thornhill, and rest of the GTA. Each season offers its own benefits as well as challenges in regards to lawn care, but all are great for sodding. We provide sodding services to the residents of Thornhill, Markham, Maple, North York, Toronto, and rest of the GTA from Late April all the way to late October – we install sod as long as sod farms can deliver it! Our team is at your service to provide a free advice and an estimate, as we continue to provide high quality Sodding service in Toronto and throughout the GTA! I have been dealing with Niko for a few years now and have been very happy with all of his work. I am an event planner and I do an outdoor event in a beautiful Rosedale backyard every year. Needless to say with 400+ people on the lawn, it takes a real beating. Niko and his crew come in after the event every year and miraculously seem to bring the lawn back to life.